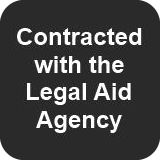 We undertake all aspects of employment litigation including High court, County court proceedings and Employment tribunal work. We aim to ensure that our clients can approach a hearing with confidence. Many business owners are tempted to leave employment issues until there is a problem. A single unfair dismissal claim can cripple a small or medium-sized business financially, especially if it is not handled correctly. For this reason, taking the time to ensure your employment practices are properly considered and implemented can pay in the long run. If you do find yourself subject to legal action from a current or former employee, our solicitors can help. We can advise you on the best way to minimise financial and administrative fallout from unfair dismissal to discrimination claims, as well as the best strategy for fighting vexatious allegations which threaten to reach a tribunal. We offer fixed fees, pay as you go, or a retainer service, so you can choose the option that best fits your needs at a reasonable cost that you can budget for. Employment documentation including disciplinary and grievance, health and safety, social media, internet and email, equal opportunities, contracts of employment, executive service agreements, consultancy agreements, staff handbooks, maternity and paternity policies. General/strategic advice e.g. redundancy, TUPE transfers, collective consultation, capability/ill health, misconduct/discipline, working time, references, restrictive covenants and settlement agreements. Employment tribunal/court proceedings including defending unfair dismissal, wrongful dismissal and constructive dismissal claims, defending all types of discrimination claims.